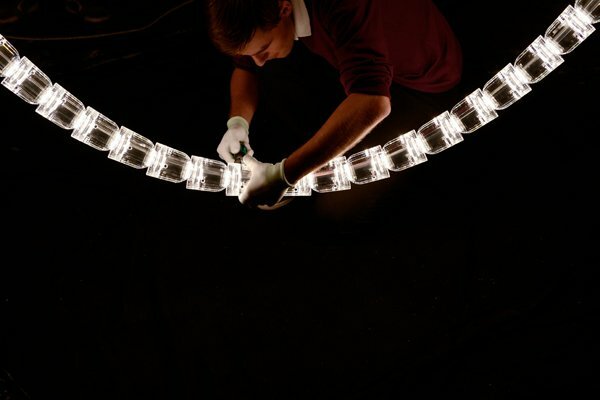 I'm a big fan of work by the Bouroullec brothers, and this recent piece by them is just incredible. 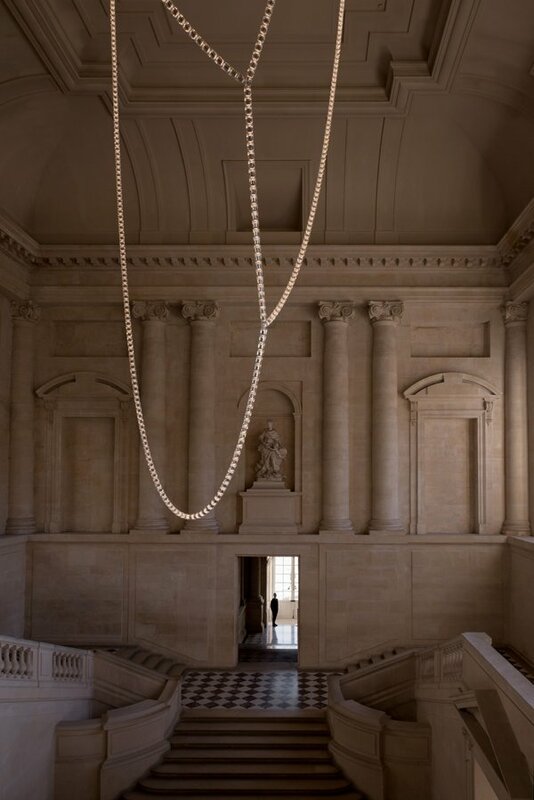 Hanging over the Gabriel Staircase in the Château de Versailles, the Gabriel Chandelier by Ronan & Erwan Bouroullec is the first contemporary piece to be permanently installed in the palace. 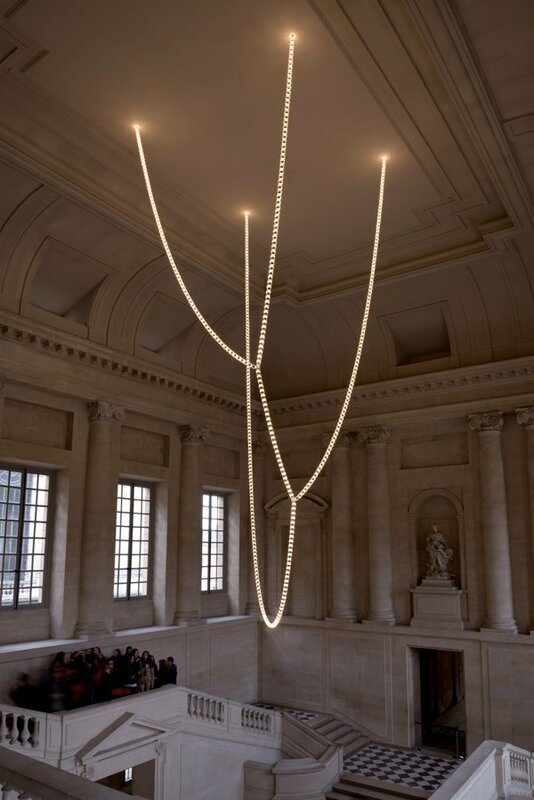 A stunning addition to this grand space, the chandelier almost seems to drip, ghostlike, from the ceiling. 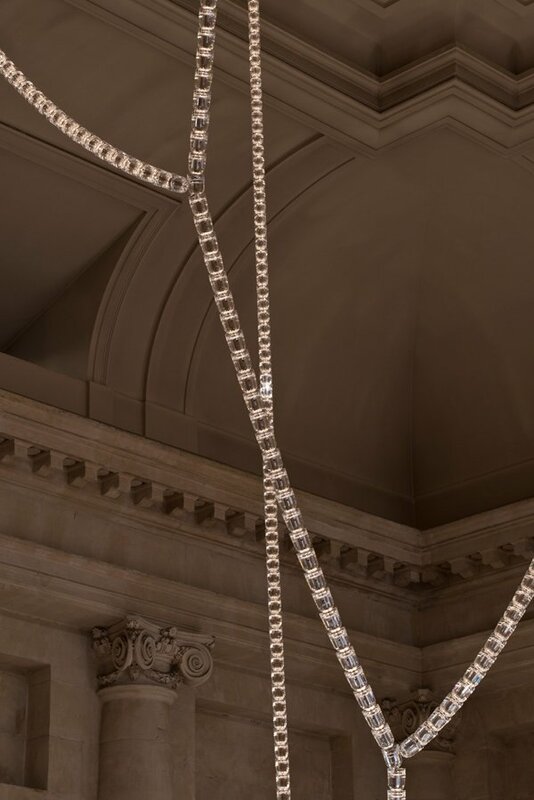 Realized by Swarovski, the chandelier is over 12 meters high, weighs in at half a ton, and is composed of 800 crystal modules. 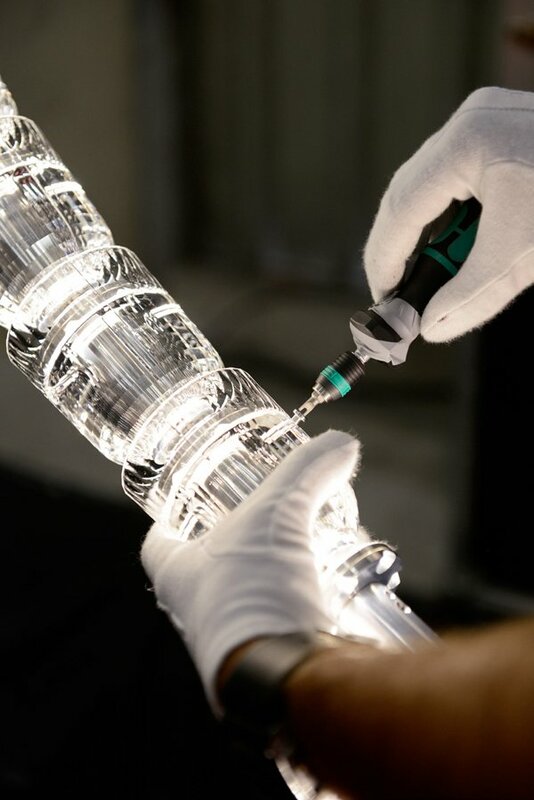 Each piece is threaded around a stainless steel skeleton that contains a led lighting system. 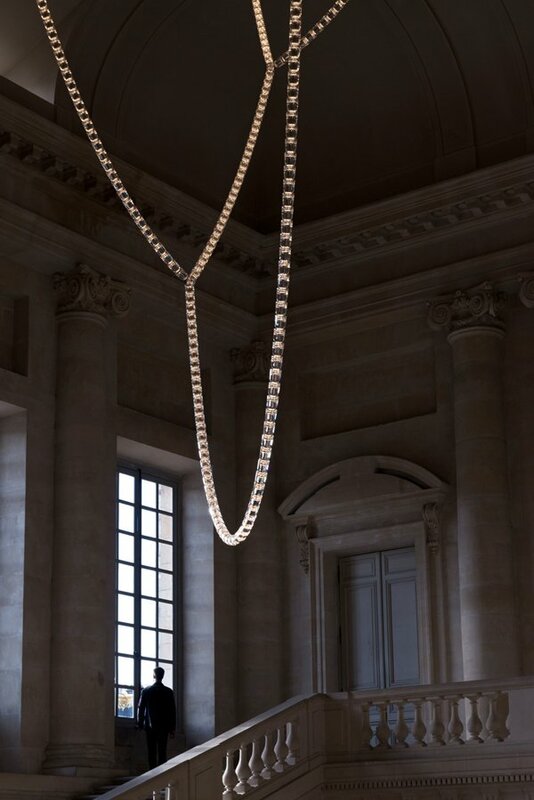 * Images courtesy of Ronan & Erwan Bouroullec.